If you spent the weekend sobbing over the Fab Five’s latest road trip to save humanity in season three of Netflix’s Queer Eye, then you’re already familiar with Deborah and Mary Jones, the barbecue pit queens featured in the episode “Jones Bar-B-Q.” The charismatic, entrepreneurial sisters—affectionately known as Little and Shorty—are not only community gems, but have long reached legendary status by being two of the only known female pit masters in Kansas City, Missouri. While they may have been the stars of their episode, there was one supporting character that gleaned quite a bit of attention: their widely renowned barbecue sauce. And now, you budding Jones Sisters fanatics can buy your own supply of their famous sauce. Little touched on their desire to sell their sauce—a secret recipe originated by their late father—as well as their difficulty to produce such large quantities without sufficient help. Well, you know that the Queer Eye crew wasn’t about to stand idly by with that bit of info. After all, they are literally there to make dreams come true while making sure that nobody shuffles off this mortal coil without knowing what a French tuck is. Beyond their snazzy makeovers and the total renovation of their popular eatery, chef/avocado enthusiast Antoni Porowski connected the Jones sisters with a bottling company to help them achieve their dream of seeing their sauce on store shelves. 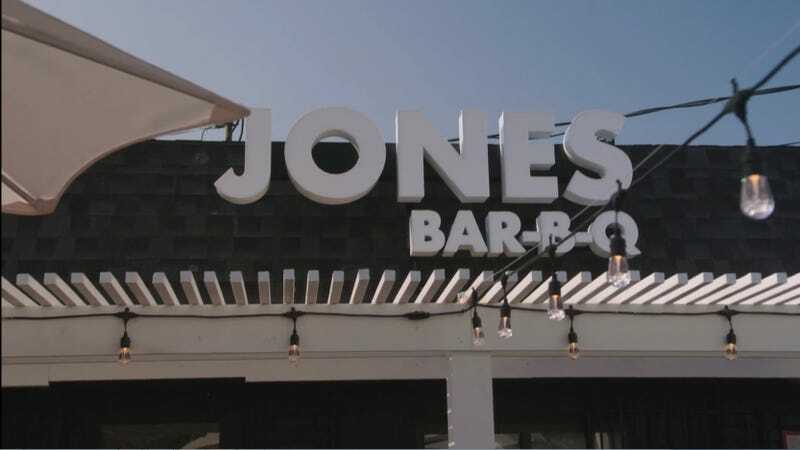 And now, curious fans can purchase a bottle or six from the Jones Bar-B-Q website for about $7 a bottle. Now you can properly dress up your ribs for the next Fab Five viewing party, like a true purist. If you do decide to covet your own case, prepare for a little bit of a wait: After the episode aired, the sisters sold out their entire stock, so the site does warn of a bit of a delay in shipping. But delicious things come to those who wait, right?